And when it pours, it pays to be porous. Porous asphalt is a valuable storm water management solution for property managers, business developers, homeowners and even municipalities. Though porous asphalt was originally developed in the 1970’s, it is becoming one of the most popular forms of pavement today. When most people think of asphalt, they think of an impervious surface that does not allow fluid to pass through. There’s a common perception that pavement should behave similar to a roof, creating a runoff that washes dirt and debris away. However, that “runoff” is what contributes to road and parking lot flooding as well as erosion. Porous asphalt is a pavement that allows water to drain through it and into an underlying, open-graded stone bed below it. The bed allows the water to drain into the surrounding soil, never allowing the water level to rise into the asphalt above. Rainfall is naturally supposed to soak into the soil before filtering its way into surrounding streams, rivers and lakes. Porous asphalt is the only pavement that mimics this natural cycle. What are the benefits of porous asphalt? With an average of 119 days of rain per year in Middle Tennessee, it’s critical to consider the best asphalt for our climate. In Nashville, the average annual precipitation is 47.24 inches of rain. If you live in Franklin, the rainfall is a little bit higher at 52.84 inches per year. Less runoff when it rains. Depending on your location, a porous parking lot can reduce your annual runoff by as much as 80 percent. This also reduces the need of storm water facilities and storm system basins. Cost-efficiency. By reducing demand on storm sewers and drainage systems, porous asphalt saves you money in the long run. Plus, porous asphalt parking lots can last up to 20 years without signs of wear and tear. Because you can go up to two decades without cracks or potholes, you can save money in maintenance fees. Environmental benefits. Porous asphalt is composed of natural materials. The “holes” in the pavement also result in cooler asphalt temperature. It takes less energy to manufacture, which results in less smoke, odor and emissions during installation. Suitable for cold weather. Though we may live in the south, Nashville and Franklin are known to have some severe snow and ice storms. 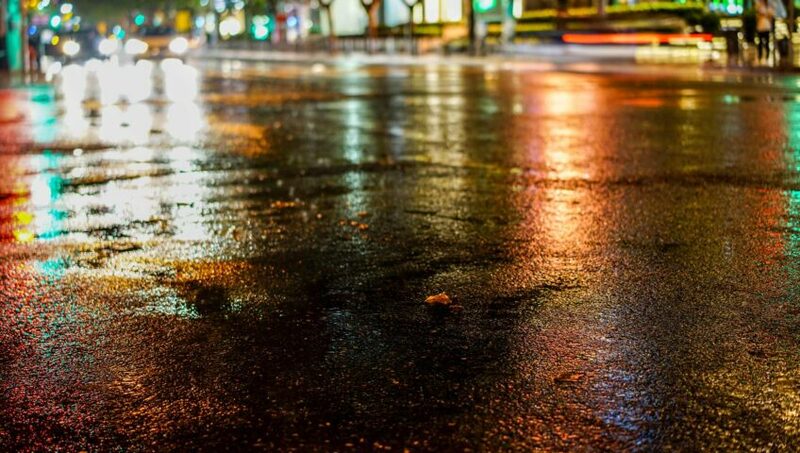 Fortunately, porous asphalt is suitable for cold-climate applications. There is also a lesser chance of black ice development. If you are interested in learning more about porous asphalt, please call us at 615-472-9288 or email info@madjacksasphalt.com. © 2017 Mad Jack's Asphalt & Concrete, LLC. All Rights Reserved.